I want to feature your shopkeeper story! One thing I’ve learned since starting Savvy Shopkeeper and the Savvy Shopkeepers Facebook Group is that we all learn from each other. We all have different strengths. We’ve all been through different experiences. We’re all at different points in our entrepreneurial careers. And we all have stories to share. I love that I’ve been able to meet and become friends with so many amazing shop owners. 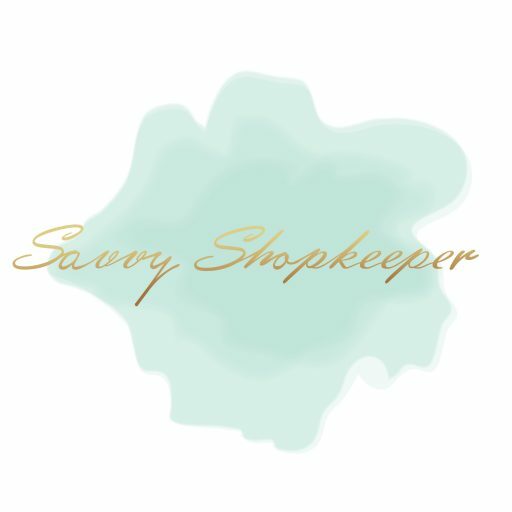 So I decided I want to FEATURE YOU, the Savvy Shopkeeper! I hope this will become a regularly scheduled blog post highlighting one brick and mortar or online shop owner every few weeks throughout the year. No matter where you are in your shopkeeper journey, you have something to say and experiences that have made you the shop owner you are today. So I want to learn about you and your shop and I want to share it. I want to share your “why”, what you think are your strengths, your weaknesses, what’s your best bit of advice for aspiring shop owners and more. Please consider filling out this simple online form. Be prepared to send your headshots, product and/or shop photos to me via email (my email address will be in the form). If you’re an online shop owner, maybe you have booth photos or just product photos. Professional photography is great but not necessary. Simply provide 1-4 nice, crisp, and clear photos. Your Shopkeeper Spotlight will be shared on Facebook and Instagram too. If you follow me you know I’m always talking about ways to market your business for FREE….here’s an opportunity. I can’t wait to start this regular feature! Who’s in? Click here to submit your story. P.S. A big thank you to Linnea White of Darling Boutique and April Petersen of Pink and Frillos for sharing their amazing photos with me for this announcement!